We've added two new locations which will help members on both sides of the Strait travel a little easier. Tsawwassen and Swartz Bay are on our map! Heather, our Modo staff member in Victoria, has the scoop on our newest location below! Wouldn’t it be nice to get off the ferry at Swartz Bay and just drive away? Now you can. 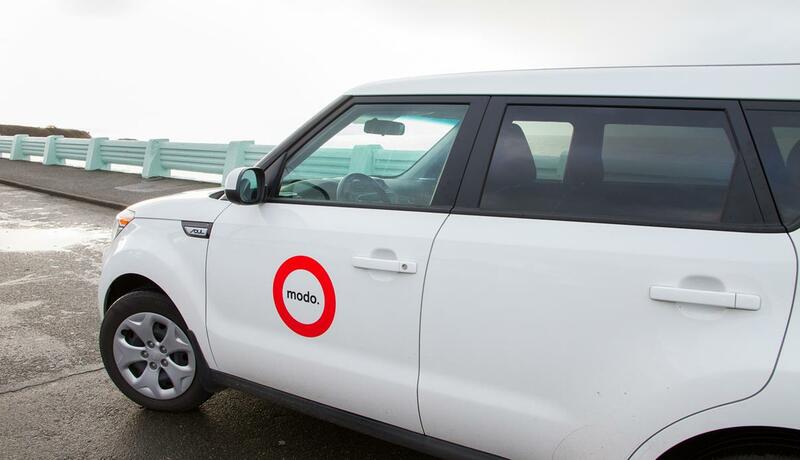 Modo will soon have two vehicles located at the Swartz Bay ferry terminal to help members bridge the transportation gap to and from Victoria, without having to take a car from the Mainland. While we confirm final parking details, we can say that our Swartz Bay vehicles will be a 2014 brown Chevrolet Orlando (#528) and a 2012 red Toyota Matrix (#371). Ferry vehicles were a regular request we heard from members and thanks to our expansion in Victoria one year ago — and prolonged efforts to secure parking — your trips are now a breeze. Our friends and relatives on the Island have a head start with two vehicles at the Tsawwassen Terminal ready for booking. Prepare the guest room! Be in the next Vancity ad campaign! COMING SOON at Swartz Bay Ferry: Lower Mainland members will soon be able to cross the ferry on foot, and find a Modo waiting at the other side! 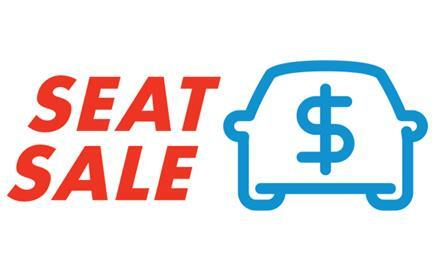 Choose from a 2014 brown Chevrolet Orlando (#528) or a 2012 red Toyota Matrix (#342). Both cars will live at the Swartz Bay Ferry Terminal, in long-term parking. NEW LOCATION at The Gorge: We've added a 2014 red Nissan Versa Note (#478) at 215 Gorge Road East, between Washington Ave and Carroll St. Enter the first driveway west of the Travelodge hotel; our car is parked in the first space on the right. CAR CHANGE at Bridgeport SkyTrain: There's now a 2016 Kia Sedona (#780) instead of a 2015 white one. UPGRADE at Brighouse SkyTrain: A 2016 grey Nissan Rogue (#775) has replaced the 2012 Toyota Prius C.
NEW LOCATION at Tsawwassen Ferry: Victoria members can now cross the ferry on foot and find a Modo waiting on the other side! Choose from a 2013 grey Chevrolet Orlando (#562) or a 2012 red Toyota Matrix (#342). Both cars live at the Tsawwassen Ferry Terminal, next to the vehicle entrance for long-term parking. NEW LOCATION at Bentall 5: This is home to one of our new Premium Vehicles — a 2016 white Lexus IS 200T (#788) in the EasyPark lot at 535 Hornby St (Bentall 5 Tower) just to the right of the YWCA. This car is available at regular rates until May 1. UPGRADE at Civic Plaza: A 2016 white Toyota Prius V (#783) has replaced the 2012 Toyota Matrix. PREMIUM UPGRADE at Stadium SkyTrain: You can find a 2016 white Lexus IS 200T (#787) instead of a Ford Ranger. This car is available at regular rates until May 1. CAR CHANGE at VCC Downtown: There's now a 2008 brown Ford Ranger pickup truck (#361) instead of a Nissan Versa Note. UPGRADE at 10th & Commercial: You'll find a 2016 silver Toyota Prius C (#773) instead of a 2007 Yaris sedan. UPGRADE at Lord Nelson School: A 2016 blue Honda Fit (#765) has replaced our 2013 Toyota Prius C.
CAR CHANGE at Waterloo Vancity: There's now a 2013 red Toyota Prius C (#458) instead of a Nissan Versa Note. UPGRADE at Marpole Park: You'll find a 2015 blue Nissan Versa Note (#692) instead of a Honda Fit. UPGRADE at 1 Kingsway: Find a 2016 Toyota Prius V (#785) instead of a Toyota Matrix. UPGRADE at W 13th & Columbia: There's a 2016 blue Toyota Corolla (#782) instead of a Nissan Sentra. UPGRADE at Nanaimo & Copley: A 2016 white Kia Soul (#776) has replaced the Toyota Corolla. CAR CHANGE at Fire Hall 1: There's now a 2014 blue Chevrolet Orlando (#526) instead of a grey one. UPGRADE at Central Plaza: We've upgraded our Chevrolet Orlando to a 2016 grey Nissan Rogue (#774). CAR CHANGE at 1400 Richards: You can now find a 2016 grey Kia Rondo (#784) in place of a Chevrolet Orlando. WE'RE BACK at Granville Bridge: After a few months away, we've returned to our designated stall on Beach Crescent at the foot of Seymour Mews — just east of the bridge — with a 2013 silver Nissan Sentra (#483). Have you checked the glove box? You may have noticed all our cars are equipped with cleaning kits. Farrell explains what's in them and how you can help us keep them stocked up for fellow members! Referral Credits may be old news for longtime Modo members, but it's definitely info new members won't want to miss! This month, Anthony shares some helpful reminders on how easy it is to earn free drive time. His Top Tip of the Month? Get $25 free drive time for each new member! Starting April 7th and ending April 27th. We've already had several bookings in our new Premium Vehicles! Now they're on the grid, we're curious when you might join these early adopters in driving them. Take our Quick Poll! 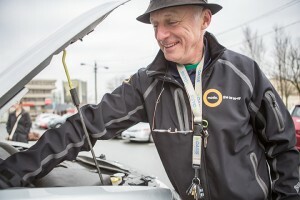 Living in the Lower Mainland does have its challenges but as a locally-grown and owned co-op, we're proud to live and work here — and offer an affordable alternative to car ownership for more than 15,000 members in 13 municipalities. Our fellow co-op, Vancity, wants to hear what locals have to say about living in the Lower Mainland and they've launched a contest so you can show what it's really like from your perspective. You could be featured in their next ad campaign and be entered into a weekly draw to win a $1,000 Vancity Visa Gift Card! 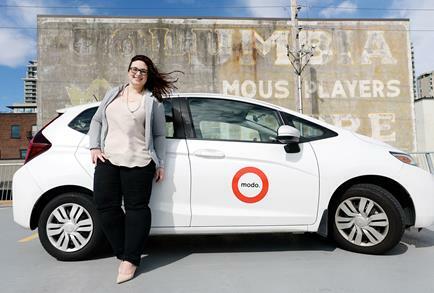 >> IN CASE YOU MISSED IT Our poll with Insights West showed that 85% of Metro Van millennials would consider giving up their car in favour of carsharing. Our members Megan and Alicia already have! >> MODO 8K RECAP Thanks to everyone who posted their Modo 8k photos on Instagram and Twitter, and who shared a recap for our blog! >> RUN FOR COOKIES Vancouver Sun blogger Gord Kurenoff joined us for the #Modo8k and shares his race day in a blog post. >> GOING PREMIUM We've added Premium Vehicles to our fleet! Two Lexus IS 200t are available for booking and a BMW X1 will be added upon occupancy at TELUS Garden. Until May 1st, all three premium cars run at Modo's regular rates! 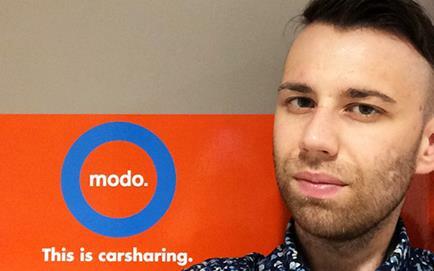 >> MUSIC HEALS Modo is still collecting your used iPods in all vehicles. We accept donations until Victoria Day, May 23rd. >> SCAVANGER HUNT Our Business member Linquet thanks all Modo members for joining their #ScaVANger hunt by offering a free trial for their "Anti loss" service. Use www.linquet.com/freetrial1 to redeem until April 20th. In partnership with Vij's, DOXA Documentary Film Festival is presenting an exclusive event for food and film lovers. Modo will provide a shuttle after the event!